Ok...You HAVE to visit the FTH store today!!! Seriously...wait til you see the new line added to the FTH Store. OMG...I am in LOVE with all the new images!!! So when I saw the new images, I knew that I wanted to make a card for Buddy's friend Mathias, that we have not seen since they came back from Peru. They were sick and I am super busy at the moment, but we will send this card, just to let them know that we are thinking if them! As you hop along, please leave a comment on each entry. One random commenter will be selected on each blog to win the image that the designer used. And additionally, one commenter on the From the Heart Stamps blog will be selected to win a $5 gift voucher to the store! If you have arrived from Angela's blog, you are in the right place!! Now head over to Dee's blog and see her amazing card!!! The hop will end on Monday, April 7th @ 6am EST . Winners will be posted on the From the Heart Stamps Blog on Wednesday April 9th!!! OMGosh, aren't you the quick one! Love what you have done with this adorable image. I have to head to the shop and grab some of these images. Awesome card! OMG! I am so-o-o-o jealous you had time to color up one of these cuties. He's absolutely ADORABLE! Love your color palette and how you let the image be the star of your card. I just want to say a BIG thank you too for all you do to make FTHS so much fun - your talent is amazing! This is adorable! Love the bright colors, your coloring (clouds and grass...swoon! ), and the fun new image you've used...well done! A new series ?! It´s time for me to get back on track, right ? **lol** Lovely card !! Oh how cute, love this! Calypso, this is darling. Love your coloring and the layout. He is SO cute! Wonderful colors/coloring and I really like you sentiment placement. Oh how cute is this? Love the sentiment! This is just darling! I am sure that this card would definitely perk me up if I was feeling bad (or even if I wasn't). Love it! I love this new line. Darling card and image. I love your design and coloring. Adorable image and perfectly showcased on the sweet cloud background! Love the realistic grass, too!! I love that the sentiment is also on his shirt. ahhhhh so perfect!!! you always seem to make such fabulous cards! Love the cloud background! The DP is just fabulous with this! So sweet! Love the colors! Great use of the new image. Especially like how you've added clouds and grass to create a scene. Love the paper choice and the use of the button to tie it in. I have to learn to do that nose thing with my copics, makes it even cuter! This is precious! Love this new set! Wonderful papers to! Love the funky paper and your color scheme! Well done! Love the sweet image, awesome coloring! This new set of images are so cute! awesome card... love love love the colouring! Wow, you're quick with one of the new images, and such a cutie too. Your colouring is superb and i'm loving that spotty paper! I'm so happy to have been given the chance to work alongside all you ladies for the next 2 months. A lovely card and the sky is sooo great!! Love how you created a "scene" with grass, and clouds! 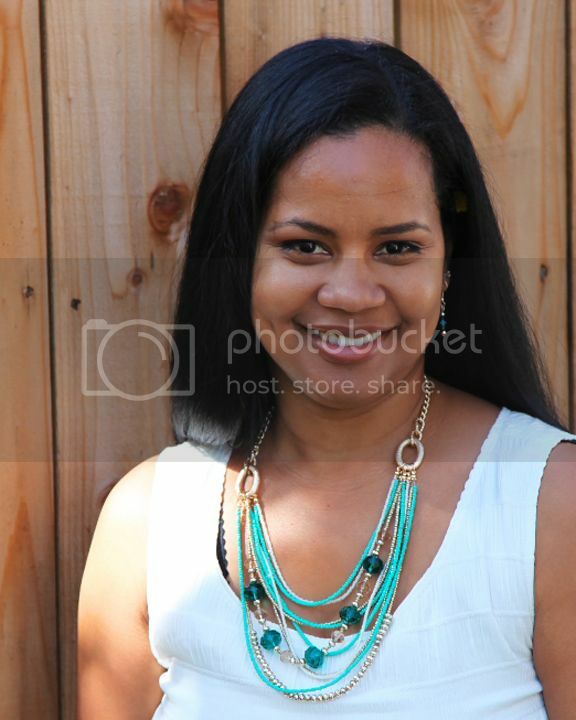 This image is so cute versatile and your coloring is Gorgeous. A really adorable card! How adorable! Love your cheerful colours and sweet image! Fab dp too! Thank you for the fun blog hop! So cute! I do a lot of "Just Because" cards! I send them to a local nursing home to patients who have no local family just to cheer them up! I really love the background you selected as it make the image pop. Thank you for sharing! Beautiful card.. I love the clouds you added to the background. They are perfect! Thanks for sharing with us at The Craftng Cafe! Love these new digis. Cute paper and perfect button to go with it. This is so cute & colourful..... I love it. Such a cute image, and what a great choice of colors. I love the button to match the paper and that you've put the sentiment vertically. Great idea! 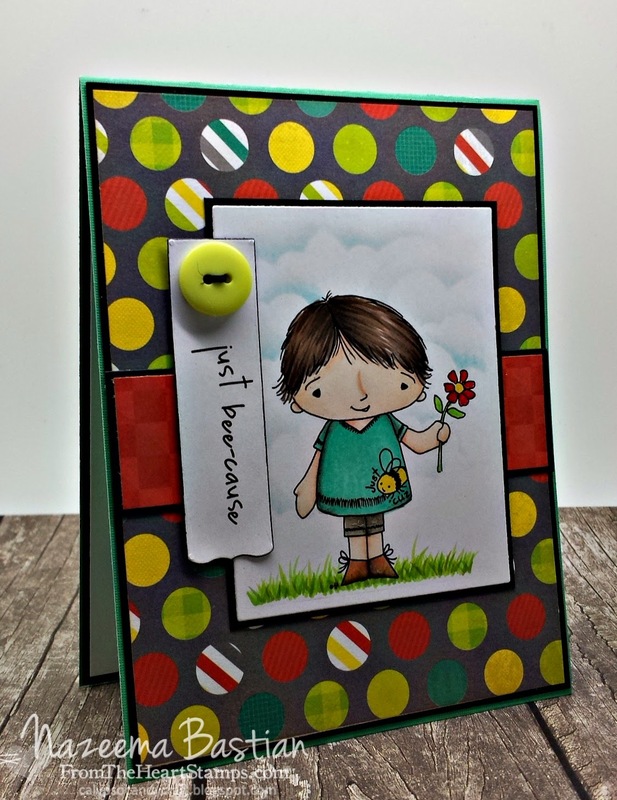 Great card, nice paper, and the image is so cute, great coloring, and fun blog hop! I love this card Calypso!! Amazing coloring, fab papers, it's awesome! How in the world did you create a card with one of these images so last minute. LOL! LOVE!! Your coloring is awesome! I too love this new images! This one especially because as a bee keeper I'm always looking for things with Bees on them!